Extremely popular for the wave upon wave of flowers they produce! 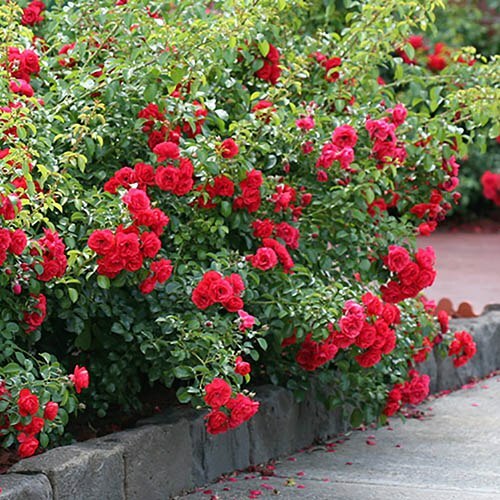 They are compact and high disease resistance, simply the best ground-cover roses you can buy! This variety produces masses of bright scarlet blooms, and is ideal for low borders or patio pots. Supplied as British grown, professional quality plants in 2 Litre pots ready to plant now. Supplied as British grown, professional quality plants in 3 Litre pots ready to plant now.